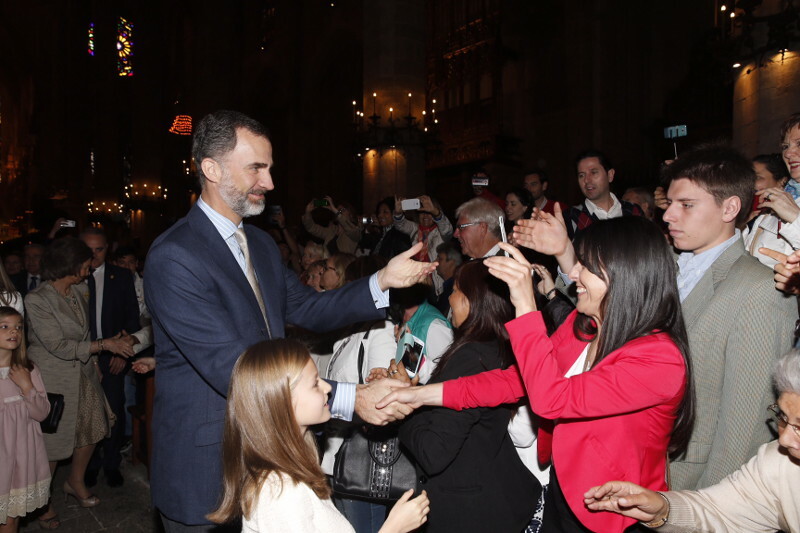 Members of Spain’s Royal Family marked the Easter holiday by attending mass at the cathedral of Palma in the island of Mallorca. 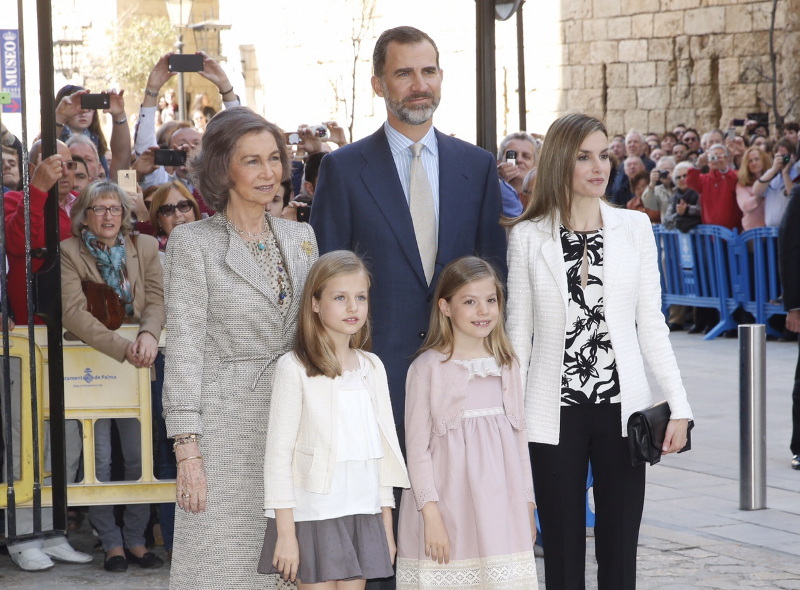 Attending services were King Felipe and Queen Letizia, Queen Sofia, Princess Leonor and Infanta Sofia. King Juan Carlos was not there. The Royal Family often celebrates holidays in Mallorca, home to Marivent Palace — a favorite getawway for Queen Sofia. Media outlets also caught Infanta Elena, King Felipe’s sister, attending a Easter procession in Madrid.